What is it that I want to tell skeptics to about religion? 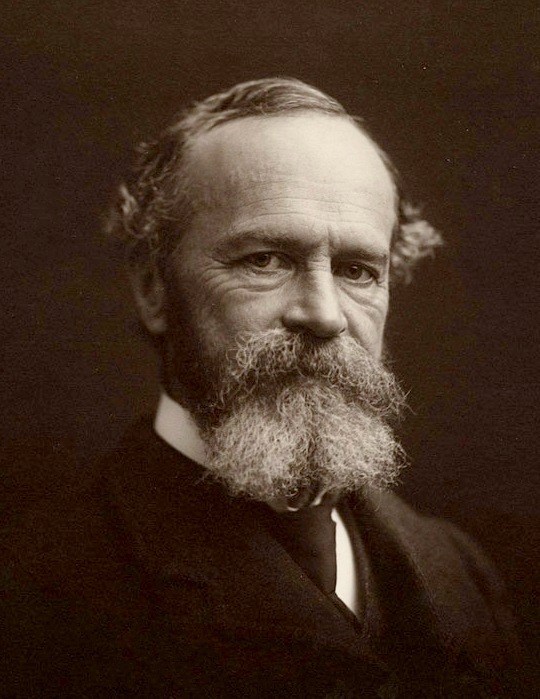 It is something essential to the human condition, such as what William James offers at the end of his Study in Human Nature. First, is there, under all the discrepancies of the creeds, a common nucleus to which they bear their testimony unanimously? And second, ought we to consider the testimony true? The uneasiness, reduced to its simplest terms, is a sense that there is something wrong about us as we naturally stand. The solution is a sense that we are saved from the wrongness by making proper connection with the higher powers. His answer to the second question is more involved, in part, because this philosopher has already stated: [pg. 455] “In all sad sincerity I think we must conclude that the attempt to demonstrate by purely intellectual processes the truth of the deliverances of direct religious experience is absolutely hopeless”. Disregarding the over-beliefs, and confining ourselves to what is common and generic, we have in the fact that the conscious person is continuous with a wider self through which saving experiences come, a positive content of religious experience which, it seems to me, is literally and objectively true as far as it goes. James is laying out what he thinks is objectively true. He is putting aside, for the moment, the unique mystical or religious experiences that have been the subject of the entire book. He is also laying aside “over-beliefs”, by which he means propositions for which there is insufficient evidence, but which can be accepted anyway through leaps of faith. James is speaking to the skeptic examining the human condition. Based on those common experiences that all humans share, James asserts a simple fact: the consciousness of a person is part of something larger. Further, it is by developing awareness of this larger self, this higher power, that we are relieved from that uneasiness, that sense of wrongness, that is part of the human condition. If I now proceed to state my own hypothesis about the farther limits of this extension of our personality, I shall be offering my own over-belief — though I know it will appear a sorry under-belief to some of you — for which I can only bespeak the same indulgence which in a converse case I should accord to yours. God is the natural appellation, for us Christians at least, for the supreme reality so I will call this higher part of the universe by the name of God. We and God have business with each other; and in opening ourselves to his influence our deepest destiny is fulfilled. The universe, at those parts of it which our personal being constitutes, takes a turn genuinely for the worse or for the better in proportion as each one of us fulfills or evades God’s demands. As far as this goes, I probably have you with me, for I only translate into schematic language what I may call the instinctive belief of mankind: God is real since he produces real effects. I believe the pragmatic way of taking religion to be the deeper way. It gives it body as well as soul, it makes it claim, as everything real must claim, some characteristic realm of fact as its very own. What the more characteristically divine facts are, apart from the actual inflow of energy in the faith state and the prayer state, I know not. But the over-belief on which I am ready to make my personal venture is that they exist….By being faithful in my poor measure to this over-belief, I seem to myself to keep more sane and true. I can, of course, put myself into the sectarian scientist’s attitude and imagine vividly that the world of sensations and of scientific laws and objects may be all. But whenever I do this, I hear that inward monitor of which WK Clifford once wrote, whispering the word bosh. Humbug is humbug even though it bear the scientific name, and the total expression of human experience, as I view it, objectively, invincibly urges me beyond the narrow scientific bounds. Assuredly the real world is of a different temperament, — more intricately built than physical science allows. So my objective and my subjective conscience both hold me to the over-belief which I express. Who knows whether the faithfulness of individuals here below to their own poor over-beliefs may not actually help God in turn to be more effectively faithful to his own greater tasks. Thus, William James, the rational pragmatist, finds pure reason insufficient. He does not attempt to refute atheism or agnosticism, he rejects them. Human experience is too rich, too multi-faceted, to be fully guided by rational skepticism. For his own life, he chooses to embrace an over-belief, to make a leap of faith, because it enables him to live more abundantly. To use an old Quaker phrase, this speaks to my condition. Policing in a democracy is difficult. It is easier in a society where people share a common religion, a common culture, and a respect for those in authority. There are places in rural and small town America where people think that their community is like that. Here, the police are respected, admired and welcome. However, even in these places, there is usually a neighborhood, perhaps on the other side of the tracks, where the police are viewed with suspicion, more feared than welcome. In this neighborhood, people realize that they are a part of a multi-cultural society, and they are fully aware of which group is in power. In America, the problem often comes down to race. Despite the real progress in civil rights over the last century, despite the prominence of African Americans in government, sports, and the media, most black people still feel the legacy, the stigma, of slavery, particularly in their interactions with the police. Take, for example, the war on drugs. Although the plague of drugs is a national problem affecting all areas of the society, the war falls most heavily on blacks. So many young black men are being incarcerated that it is bound to have an impact on the community. Meanwhile, the popular culture lionizes gangsters, the only ones with money who continue to live in the poor communities. Young, rebellious adolescent boys adopt the dress, the swagger, and sometimes the criminal behavior of the alluring, powerful men around them. This leads to a vicious cycle, in which police, and indeed the general public, see blacks as likely perpetrators of crime, and blacks see police as a source of harassment, intimidation and repression. Recently, several deaths of black men at the hand of white police have become the focus of controversy. Looking at the same facts, different groups of Americans come to starkly different conclusions. One group, mostly white and “conservative”, sees these as isolated incidents where good, brave policemen faced difficult situations. Though these people usually acknowledge the tragedy of the unnecessary death, they emphasize that things could have been much worse, with policemen killed. These people are satisfied with the investigations that followed and trust the ultimate conclusions that the police’s actions were justifiable in each case. Others, particularly blacks, see these incidents as the tip of an iceberg of police harassment and intimidation. These deaths are cases where the police bullying got out of control. They want the perpetrators to be punished and the bullying to stop. Today, things are escalating. 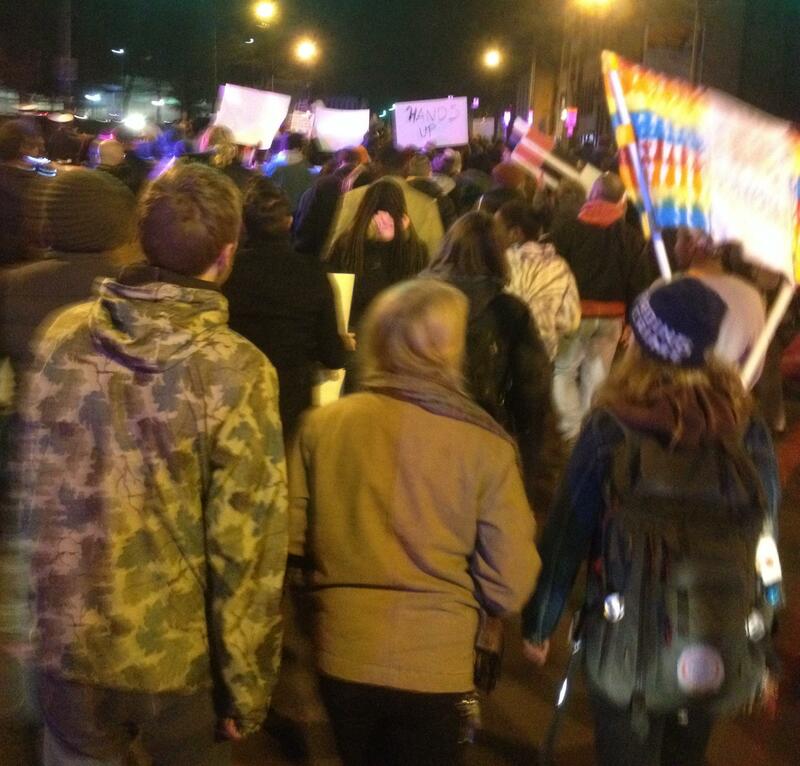 People are protesting, and the protests occasionally descend into riots. Each time another young black man dies at the hands of police somewhere in America, the information gets splashed across the internet, providing fresh fuel for both the protest and the police reaction. How can we break this cycle? Can we maintain oder and enforce the law in a way that is fair to black Americans? I have good news: the answer is embedded what that radical, Jesus, preached so long ago: “love thy neighbor as thyself”. For those of us who are more moderate, for whom this seems an impossibly high ideal, simply start from the premise that we are in this together and that we should treat each other with respect. Rather than intimidating people, partner with them. Involve the community in providing order, and more order will follow. Enable the community to hold the police accountable for their actions, just as the police require the community members to live within the law. Police in a way that honors our democratic ideals. 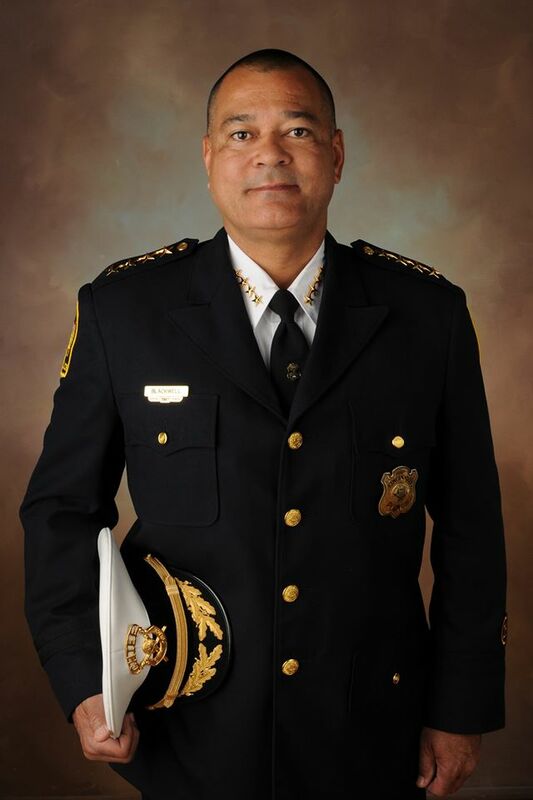 This might sound like impractical religious idealism from a peacenik with no experience in policing, but it comes from Jeffrey Blackwell, the Chief of Police in Cincinnati, in a talk given to MARCC (Metropolitan Area Religious Coalition of Cincinnati) on December 10. 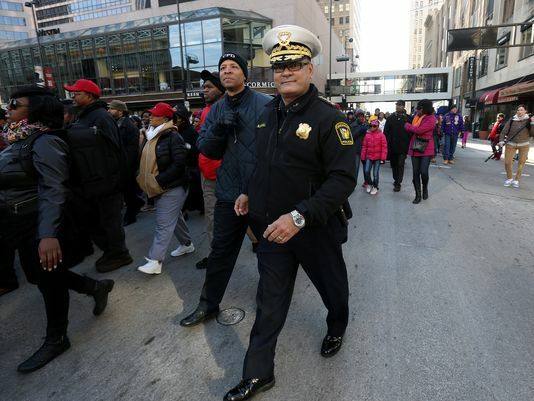 What he sometimes refers to as “Constitutional Policing” comes out of the collaborative agreement that Cincinnati Police, the ACLU and the Cincinnati Black United Front reached after the protests that followed the police killing of an unarmed teenager in 2001. At first, the police did not like the change in their procedures, the additional paper work, or the intrusion of outsiders looking over their shoulder. However, with time, they adapted to the changes. As this new approach proved successful, the police embraced these changes. Now, even after the agreement is no longer binding, they are continuing most of the practices. They use evidence, including input from the community, to determine how to deploy their resources. Under the leadership of Blackwell, they are expanding their involvement in the community, with tutoring programs, summer basketball programs, and other activities to embed the police into the community. Thus, there has been a major cultural shift in the police department since 2001. And it is working. Of course, there are still tragic incidents. This August, white cops killed a black man in an incident that began with something petty. The victim’s name was Donyale Rowe; he was a passenger in a car pulled over for a minor traffic violation. Although this is superficially similar to the killing of Michael Brown in Ferguson, in fact, it wasn’t. To begin with, the Cincinnati Police Department hid nothing. They quickly named the officers involved. They released the video from the squad car to the public. Because of the history with the collaborative agreement, the police department had a working relationship with independent people who were trusted by the black community; these people reviewed the evidence and concluded that the police had acted appropriately. Donyale Rowe had a gun and intended to use it. Although this death is tragic and Donyale Rowe’s life mattered, nobody protested. There was nothing to protest. Thus, in almost every detail, this incident was entirely different from the killing of Michael Brown in Ferguson. Rather than list all of the things that ham-handed Ferguson police did wrong, which was pretty much everything, I want to point to the larger picture. There was no possibility that the Ferguson police could have handled the Michael Brown killing as smoothly as the Cincinnati police could handle a similar incident, because the Ferguson police have done nothing to establish trust with the community. The difference is not just in how the one incident was handled, but in the entire approach that the police take toward their job. In Ferguson, they adopt the antiquated approach that Blackwell calls “Big Me, Little You”, where the police intimidate people rather than listen to them. In Cincinnati, the police engage with the community to solve their problems together. In his talk to MARCC, Blackwell described the problem faced by towns like Ferguson. Poor people live where the rent is low. As the inner city gets revitalized and gentrified, the poor move out to suburban towns where they can afford to live. 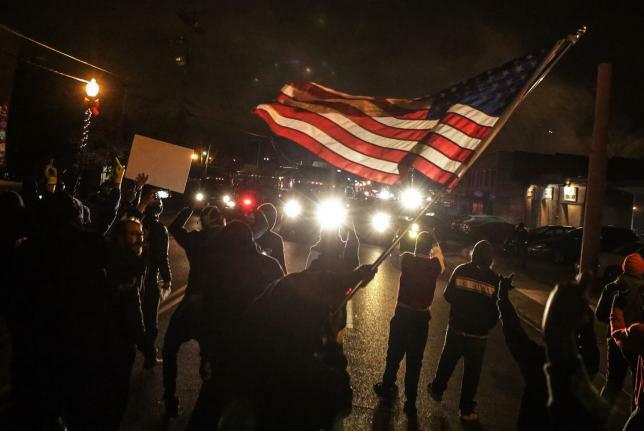 In Ferguson, the once dominant group is being displaced. Soon, the police force finds itself in charge of a different community, one it has neither the training or cultural background to serve. Disasters like the Michael Brown shooting naturally result. 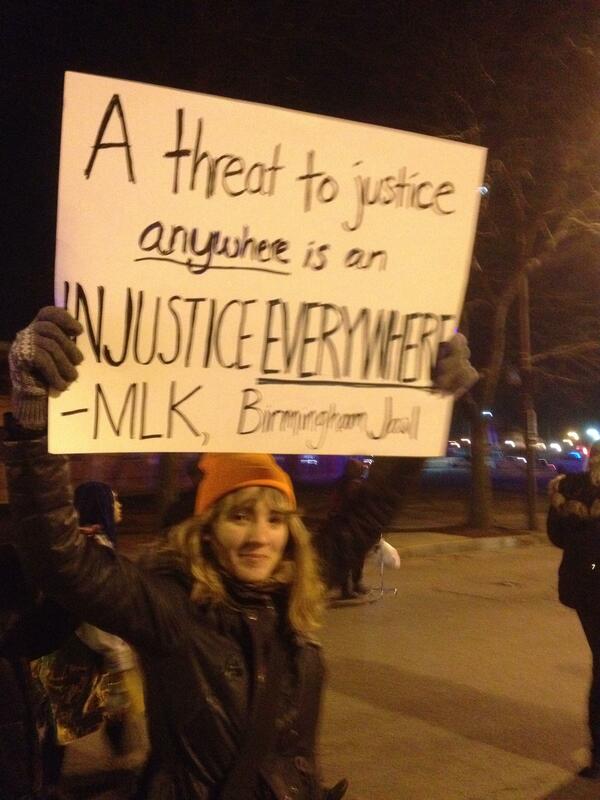 Unfortunately, things in Ferguson are going to remain bad for a while. Even now, the government is planning to make up for a budget shortfall by increased police ticketing. In other words, rather than focusing on maintaining order, the police are raising money. When combined with their archaic policing practices, this is a prescription for more resentment and conflict between the police and the black community. Worse, Ferguson officials are ignoring the sometimes devastating effect these petty fines have on the lives of people struggling to get by. Evidently, these officials have learned nothing from the protests. Though they may give lip service to government for all, their actions show little concern for the lives of people outside their power base. Because the new residents have not been showing up at the polls, the old group is still in power in Ferguson. However, it’s very hard to suppress the majority for long in a democracy. Soon, the majority black population will start to vote, and Ferguson will have a new government. Let us hope they do not simply express their resentment by saying “Now it is our turn,” providing government that is no better, just with a different group in charge. Rather, let us hope that they implement the successful model of policing that we have in Cincinnati, “Constitutional Policing”, that can make things better for all. Damon Lynch III, former president of the Cincinnati Black United Front, has visited Ferguson “to share Cincinnati’s story of struggle and success.” In addition, similar approaches to policing have been put in place in Los Angeles and other major cities, and the president has appointed a new task force to promote community oriented policing. Thus, there is reason to hope that in the long run, Cincinnati’s success will be replicated in Ferguson, and across the nation. 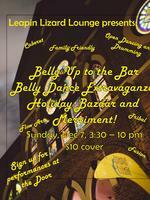 Sunday evening, my wife and I encountered a corner of the Cincinnati’s cultural life that was new to us: the Belly Up to the Bar Belly Dance Extravaganza, at Leapin Lizard Lounge in Covington. We were invited by my son’s partner, who was planning to dance. The women who danced were of all sizes and shapes. Some were young; some were grandmothers. Some were fat; some were thin. One was very pregnant. In an age where so many women are concerned about how their body compares to the impossible Barbie Doll norm, it was refreshing to see these women joyfully celebrating bodies of all shapes, sizes, and color. Soon after we got there, a woman who I thought quite overweight danced a solo. As she briefly danced on one leg, doing moves not too dissimilar from some Yoga asanas that I struggle to get to, much less move through with grace, I thought maybe I should acknowledge that I need to get over some stereotypes. Some of the dancers perhaps see belly dancing is a living part of their ethnic heritage. However, most were of Northern European or African descent. Regardless of ethnicity, all were enjoying an art imported to America, taking either a strictly traditional or loose approach, as suited their abilities and personal inclinations. Some danced with ease, confidence, and in a few cases, with professional mastery; others danced with the studied concentration of adult novices trying to get it right. The choreography varied wildly: there were traditional dances, serious pieces close to modern dance, and comedy. One dance was inspired by 1920s flappers, with only a small nod to belly dancing techniques. There were several groups, often made up of less accomplished dancers led by one who was more comfortable and confident with the choreography. Several groups were of mixed race. The spirit was supportive, non-competitive. Everybody was cheered and encouraged. People danced to recorded music, except during the intermission when the hand drummers took the stage. Some of the drummers were quite skilled. Several people, including one enthusiastic child, accepted the open invitation to dance to the drums. The most remarkable dance was a solo performed by a pregnant woman, an obviously accomplished dancer who modified the choreography to accommodate what her changing body was able to do. Her dance was an extraordinary celebration of the beauty of the female form great with child. 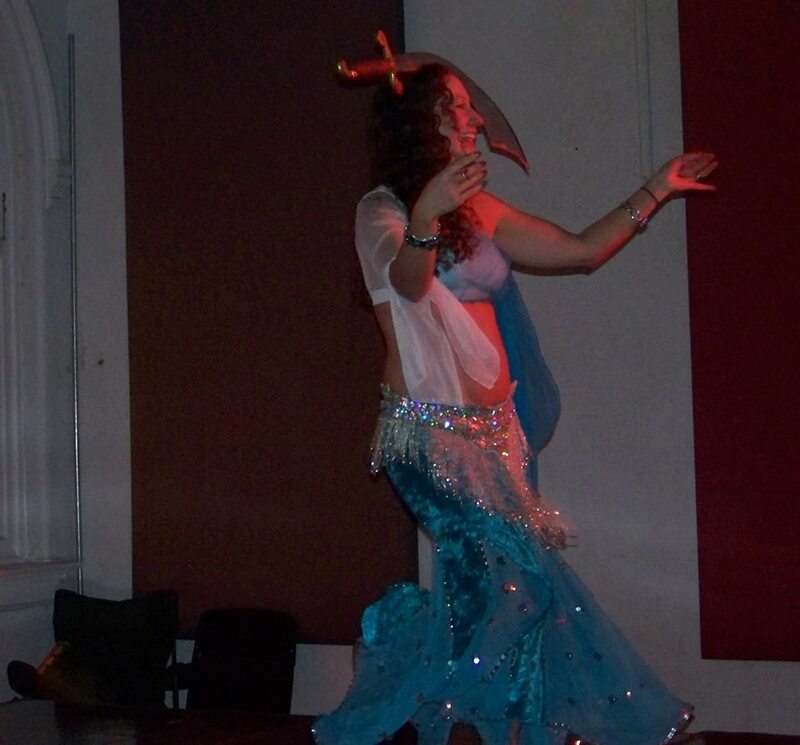 Belly dancing is visceral, and many of the women clearly enjoyed expressing their sexuality. However, unlike so much of our commercial pop culture, it was never sleazy. Little kids were there, probably watching their moms, or perhaps even grandmas, and I was at no time uncomfortable with their presence in the room. There was a buffet: the food was good. As you would expect from the title, people were drinking alcohol, but nobody was drunk. It was the kind of healthy social event that builds strong communities. Here was the American melting pot in action: honoring the core of a imported tradition, but freely combining it with other influences to make something new. As one concerned with building the peace, I was pleased to see something cross the cultural and ethnic divides so common elsewhere in our society. However, building peace sounds too much like work: people were having fun. I hope to modify this post in the future, adding pictures as I get access to them and permission to use them. I post the text now to allow people to see what it was that they might be associating their image with. The morning after the Ferguson grand jury decision was announced, I heard about the demonstration planned for that evening in downtown Cincinnati. Though I don’t like these events, I thought I should add my support to the people trying to effect positive change. I took the bus, which encountered, besides the usual rush hour traffic, a long truck full of groceries, perpendicular to street, blocking traffic while it maneuvered back and forth, trying to back into a tiny inner city parking lot. By the time I arrived at the Federal Building, the proceedings had already begun. I crossed the street and joined the hundred or so people standing around and listening to someone speaking into the microphone. I was soon reminded why I don’t like these events. A few yards away from the main speaker was another man with a bull horn, saying that the people in charge weren’t interested in hearing what he had to say, but he was going to make himself heard anyway. To tell the truth, I couldn’t really understand much of what he said. He seemed angry, and he succeeded in making enough noise that I really couldn’t understand the main speaker either. Just behind my left me ear was a man who was even angrier, with an impressive set of lungs. In the beginning, he would yell “All you’re doin’ is jus’ talkin’ ”, or later, when someone lead the us in the Lord’s prayer, “This is jus’ brainwashin’ ”. I had the feeling that he wasn’t going to be happy unless he could inflict some pain. Soon he was joined by a young man with a scull on his shirt and a bull horn, adding to the “Listen to me” cacophony. At one point, I thought a fight was going to break out. There was some shoving, but the two young men who were not really interested in fighting. I didn’t hear the full exchange of words, but one said, “But not when your bull horn is pointed directly at my ear.” Earlier, my ear had gotten a piece of that bull horn in my ear, and I could imagine that anyone who received the full blast suffered real pain. A few people wore Guy Fawkes masks, which I think were recently popularized by Anonymous, the hacktivist group. I have some sympathies with some of what Anonymous does, but I was at the demonstration to be seen, to be recognized, to take personal responsibility for my role in the community. These masks, which obscure personal identity, seem more appropriate for someone engaged in criminal activity, someone who wants to escape personal accountability. These masks run counter to the spirit of a peaceful demonstration. Eventually, the rabble calmed down enough that I could hear a little of the substance of what was being said. The best speaker, in my opinion, was Alecia Reece, my state representative. There have been two police killings in Ohio recently where the victims (black of course) were handling toy guns. Reece has responded with a bill, named for one of the victims, requiring toys sold in Ohio to be easily distinguished from deadly firearms. She spoke briefly, in a clear voice tinged with fire. (The heckler with the loud voice yelled, “We don’t need no laws!”). Damon Lynch III gave the most substantive speech. He said that he was not surprised by the grand jury decision or the violence that followed, just disappointed. 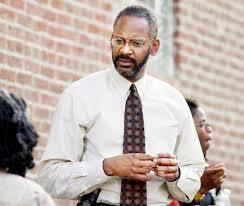 He also spoke about the collaborative agreement that emerged in response to the Cincinnati riots in 2001. He said “Cincinnati is far from perfect, but it is a lot better than many other cities in this country.” In my opinion, this agreement should serve as a model for what to do in Ferguson, and Lynch is doing quite a bit to help make that happen. Our master of ceremonies, Bishop Bobby Hilton with the Cincinnati Chapter of the National Action Network, also spoke about the persecution of Tracy Hunter, a judge who was recently indicted on a half dozen counts, and convicted on one. I was not happy to have this added to the list of grievances covered by the protest. Blacks have suffered injustices, but I do not think the prosecution of Tracy Hunter is one them. I am glad that she is off the bench. Others were introduced to the microphone: Cecil Thomas, the state senator whom I had canvassed for; a white guy, booed before he began, whose introduction I did not hear, but turned out to be the mayor; a hispanic man expressing solidarity with people of color. Occasionally, someone would lead a call and response: “Hands up! : Don’t shoot!” or “What do we want? Justice! When do we want it? Now!”. It was not a venue for thoughtful exposition. I realized that I was in a particularly noisy wing of the group. I made my way over to my right along the edge the crowd, and settled down, standing beside a black man about my age with a bemused look on his face. It was much more pleasant. Toward the end, Hilton harped more and more on what was to him the most important message: “We are having a peaceful demonstration.” He then repeated the words “a peaceful demonstration” over and over, in the same way he had earlier led some of the chants. Then he thanked us and wished us a safe journey home. The rabble rousers were having none of that. They started walking in the middle of main street, blocking traffic. Most of the crowd followed. So we walked a couple of blocks north, turned West for a couple of blocks. Some people started north on Vine, but the bulk of the crowd decided to go south. I heard a policeman speaking into his radio, “headed south on Vine! I repeat, south on Vine!” Then we headed back east, and then north again. Which ever way we wandered, the police were in front of us, blocking traffic, allowing us to have the street. When we were headed against the traffic, some drivers showed support by honking their horns in rhythm to the chant, or reaching their hand out the window for a high five. The chants were the same we had been shouting when gathered across from the Federal Building. I enjoyed them. They give a rhythm to the walk and a sense of togetherness to the crowd. One was I was reluctant to join: “No justice! No peace!” I hope for peace in any case, and think peace is the shortest route to justice. However, when a young kid was leading this chant, I was happy to join in support of his enthusiasm, regardless of my reservations about the message. Unlike the dreary gathering standing around listening to speeches, I was enjoying the event. At one point, I saw some people lying down in an intersection. However, most of us wanted to keep moving, and we knew that lying down was going to force hand of the police. Someone with a bull horn suggested we head to Washington Park, which seemed to me to be a good destination. I think he was pastor of a church near there, with food for visitors. Washington Park is in front of Music Hall, and near the drop in center. Having been recently renovated, it is symbolic of what is happening to that neighborhood: the improvements are loved by those who want to see the area revitalized, but not by the poor and homeless being displaced. However, we did not go to Washington Park. We did not turn west until we reached Liberty, which is several blocks north of the park, and we didn’t turn back south until Central Ave. Somebody was saying that we were going to City Hall; another was asking “Why are y’all going to the police station?”. When we got to Ezzard Charles, some tried to continue south toward City Hall, but people instead gathered in front of the Police Station. When nobody seemed to pay attention to their “Go This Way” cries, these self appointed leaders joined the crowd in front of the police station and soon headed on down Ezzard Charles toward Museum Center in the old train station, an iconic Cincinnati building, a picturesque place to conclude the march. However, the museum center was closed and out of the way, so nobody really wanted to go there. Instead, their goal I-75, the major North South corridor though the city. The police were again way ahead of us. When we got to the intersection with the access road, the police, as usual had traffic blocked off. Then I noticed that they had the entrance ramp to the highway (I75 North) blocked off, and that beyond that, there was no traffic! The police had cleared the throughway before we arrived. At this point, I had to see what was happening. Police cars about a half mile south of us were stopped, blocking a highway full of traffic. Going south, the traffic, as it often is, was slowed by the bridge and was going about 5 miles an hour. 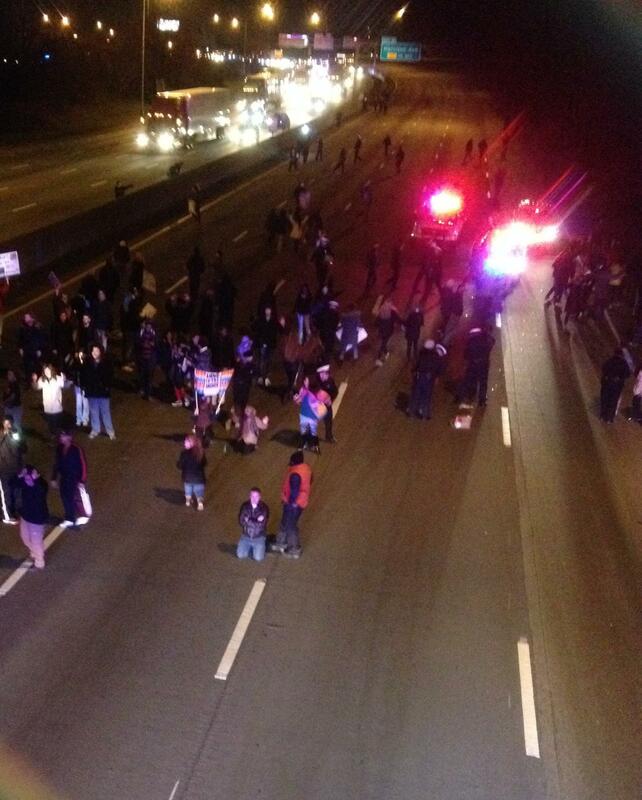 Many of us walked onto the highway. Some knelt down, or laid down in the middle of the empty northbound lanes. Some crossed over into the south bound traffic, and managed to bring that to a halt. The police decided that they needed to act. They warned us to get off the highway or be arrested. Rather suddenly, lots of police appeared. They might have been wearing vests under their uniforms, but there was no riot gear and no tear gas. They seemed to be engaged in a normal police action to uphold minor violations of the law. Most of us left the highway. Only about half a dozen were arrested. As we left, one young man said, “It’s not over yet!” I suspect that he was one of those who went across town to I71 to try to shut that down. Several more were arrested there. It was quite evident that they were going to continue doing stuff until the police arrested them. However, the crowd had dwindled. It lost all sense of cohesion. I was done. After she left, I shook his hand and thanked him for the professional way that the police had handled the entire affair. He was still a little hot about what the woman had said to him. I answered, “You don’t look black to me.” He smiled. In fact, he is a very dark skinned man, one for whom the word ‘black’ might actually be descriptive. This brings me to a less public aspect of the rally. After we had walked a little ways, I realized that I had a new smart phone that could take pictures. So I pulled out my new smart phone, which I am obviously clumsy with, and took some pictures, perhaps to use in this blog. In a little while, a young man came to me and asked to borrow my phone to call his grandmother. I let him do this, but was wary, keeping him between me and the crowd. He did not get his grandmother. So we walked on together, up to Liberty, around the police station, and all the way to the highway. “This is crazy!” he said as we walked onto the highway. As we walked back, I gave him a couple dollars to catch the bus, and he tried his grandmother a couple more times. I called my wife. We were walking back to the bus stop, and there was no more crowd. I let him try his call again, and he ran off with my phone. Stupid me. At that point, we had spent an hour together, him playing me for a mark the whole time. I walked back to the police station and filled out a report. When I got home, instead of talking pleasantly with my wife, or writing this up, I was changing passwords, and checking status of my digital items that could conceivably have been compromised. The Cincinnati demonstration was peaceful. Those of us who participated were just part of that peace. The other part was the police, who did everything they could to make it likely that the demonstration succeeded in remaining peaceful. They consistently treated us with respect. They protected us from any crazies who might have been driving in the blocked traffic. They allowed us to make our point, only acting to arrest people when it was clearly called for. When they came out in force, there was no sign of riot gear or military style weaponry. As we left, several thanked us for remaining peaceful. From the planning that evidently occurred before the rally began until the end of the evening, from every interaction between the police and the public that I witnessed, the Cincinnati Police proved itself to be a professional, civilian police force, dedicated to maintaining the peace and protecting all of its citizens. Unfortunately, real peacemaking is not stuff of headlines.